The annual Dandies Project book release party is fast approaching and will be held in Minneapolis’s Warehouse District on Thursday, February 15 from 6:00pm to 9:00pm. You don’t know what a Dandy is? Get a primer from Mshale’s Kari Mugo from a previous posting. The dandies come from a broad spectrum of society but tends to draw heavily from the professional and business classes. 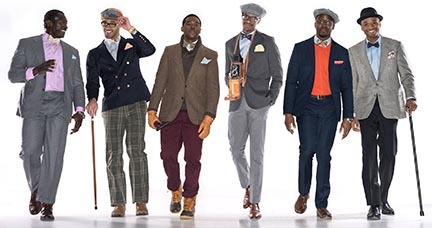 The Twin Cities based Dandies Project initially focused on successful men of color but has branched out and now includes all men. Admission: Free. Book will be available for sale at $70. Cash and credit accepted. Items for auction also available. RSVP: Not required but you can do so on this Facebook Invite.